The hosts, editors from 1Up and IGN, are incredibly knowledgable about not just the big blockbusters of today and yesterday, but also lesser known titles from gamings past. The Movie Month sessions are great and definetly worth downloading even years from original publishing. In fact, every episode is worth grabbing because this podcast is relevant any month, year, etc. The topics move at a great pace and Bob, the host, makes sure everyone stays on point. Whether you were gaming in '86 or '06 this is a great retrospective on all things gaming culture. Fandango. its a great companion to their audio podcast. love it. where are the new episodes? Retro games in video form, WHOA. 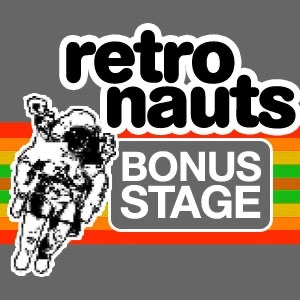 If you liked the retronauts podcast download this too.